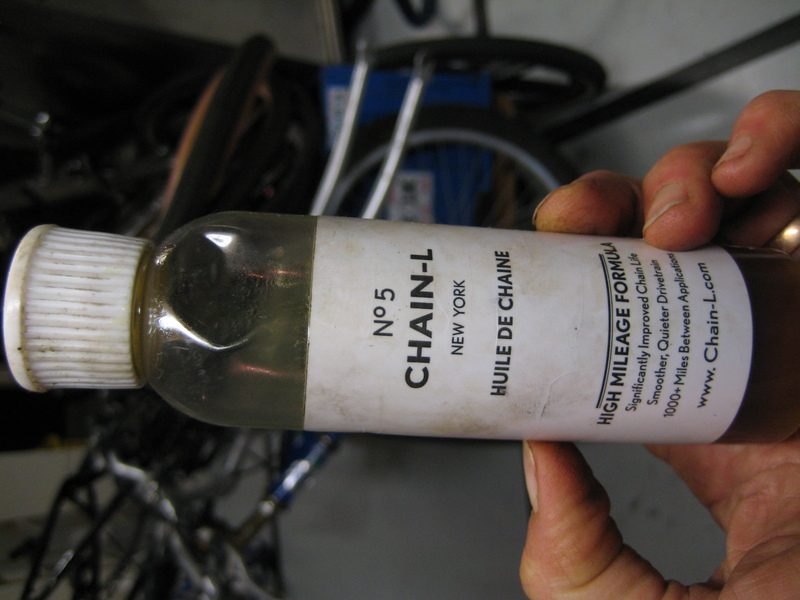 The creator of Chain-L No.5 lube, NYC bicycle advocate and inventor Francis Bollag has stepped up to the plate the way so many world citizens have, in these catastrophic times. Rather than gum up the gears by heading down to Haiti, he’s greasing the wheels of recovery by giving every donor of $25 dollars (paid to a reputable charity) a free 4 -oz bottle of his superb product. He’ll send it to you free, if you send proof of the donation and the $3.00 shipping cost. Personally, I’m partial to mailing singles in an envelope because it’s so …I don’t know..subversive? Stupid? The money always gets there..
Don’t forget to include your address…and you will have helped make the whirl go roun’…. ~ by jacquiephelan on January 21, 2010.